Cheese, wine, craft beer, boergoat meat, “skaapstertjies”, tripe and ice cream . . . all these delicacies awaits you at the Big Farm Taste on Saturday 14 October 2017 on the farm Sandringham outside Stellenbosch. 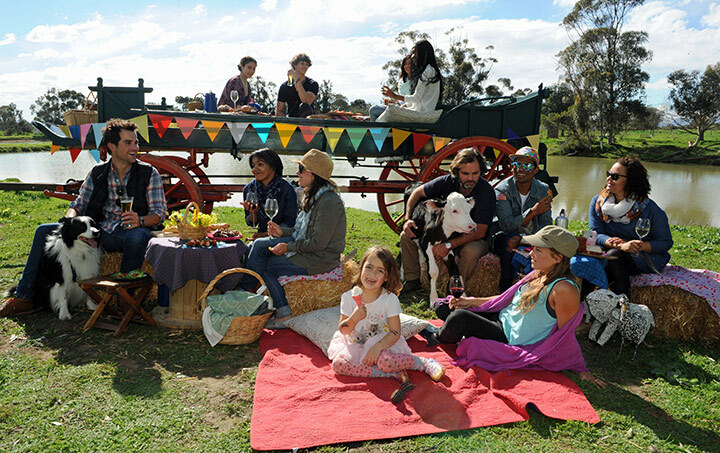 Agri-Expo, organiser of the SA Cheese Festival, promises a brand new tasting experience of all things farm, both for Farmies as well as Townies. Unique combinations such as Bok&Bier (boergoat meat and craft beer) and artisan products, including wine, Karoo lamb sosaties, roosterkoek, steak, yogurt and ice cream, for tasting and sale. Listen to popular Afrikaans singers Adam Tas, Nic Stevens and join the line dancers with music by Die Wildberries, or Boeresport, and enter the Big Ice-cream Eating Competition or the Big Braai Competition. Meet more than 300 different animals, watch sheepdogs at work, see shearers in action and learn how wool is spun. Vote for the cutest animal in the Big Favourite Competition and pose with any animal in the Big Selfie Competition. Kids can lead a milk goat around the arena, ride ponies, visit a touch farm and meet miniature horses and donkeys. The programme takes place from 09:00 to 18:00. Tickets from Computicket and the gate at R80 for adults, R50 for pensioners and scholars (14-18), free for children 13 and under. WIN! We’re giving away 7 x double tickets to attend the festival plus a gourmet sauce from Ukuva. To enter simply complete the entry form below. Terms and conditions apply. Competition ends 9 October 2017. Entrants must be Cape Town based. Transport not included.